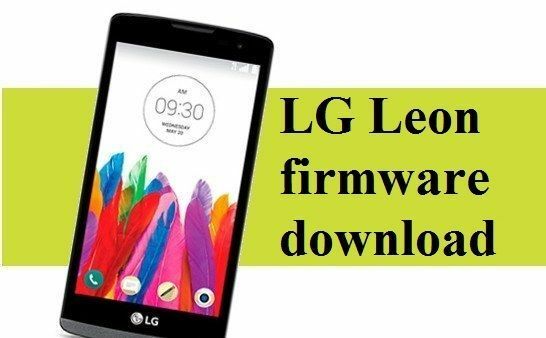 Here you will find a complete list of LG Leon firmware download for different models and regions. LG Leon is another middle class smartphone. It was released along with LG Magna and LG Spirit. At the same time, LG Leon is the cheapest of the trio. Let's recall the main features of LG Leon. As we said, LG Leon is the cheapest smartphone of the new middle-class devices. Its display is not curved, although the shape of the body hints about it. Screen size is 4.7 inches. The camera is also reduced by up to 5 megapixels, and the battery capacity is 1900 mAh. The user receives only 4 GB of internal memory. Also, LG Leon has a new design: the volume buttons has no texture, and dynamics of the hole is much larger than LG Magna and LG Spirit. Despite the relatively modest specifications, LG Leon received software functions that are available on flagship devices, making LG Leon really interesting smartphone. LG Leon is available in different models for different regions, for example, LG H324 for CIS, LG H340 for Europe, LG H320MB for Central America, etc. Here you will find a complete archive of firmware for your smartphone. Please note, there are two different smartphones: LG Leon and LG Leon 4G LTE. Do not get confused! When you find your firmware, click on Download to go to the firmware and instructions on how to install it. If one of the LG Leon firmware download won’t work, please write the comments below. We will replace it on working one.